It is still cranberry season! The bags of fresh cranberries are still in the stores so I am still allowed to make cranberry dishes! 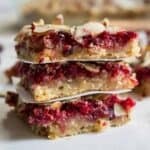 These cranberry nut bars are made with fresh cranberries and are given a bit of added crunch with sliced almonds. The red festive color is perfect for the holidays! 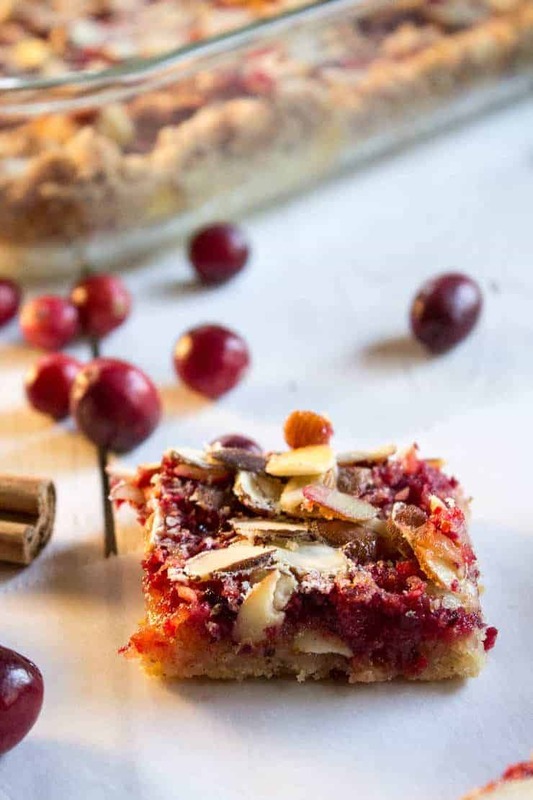 These cranberry nut bars have a wonderful shortbread crust made with toasted almonds, for extra flavor…. So delicious! I used just one bowl to make these bars. Well, technically, just one food processor. That’s even better than one bowl. 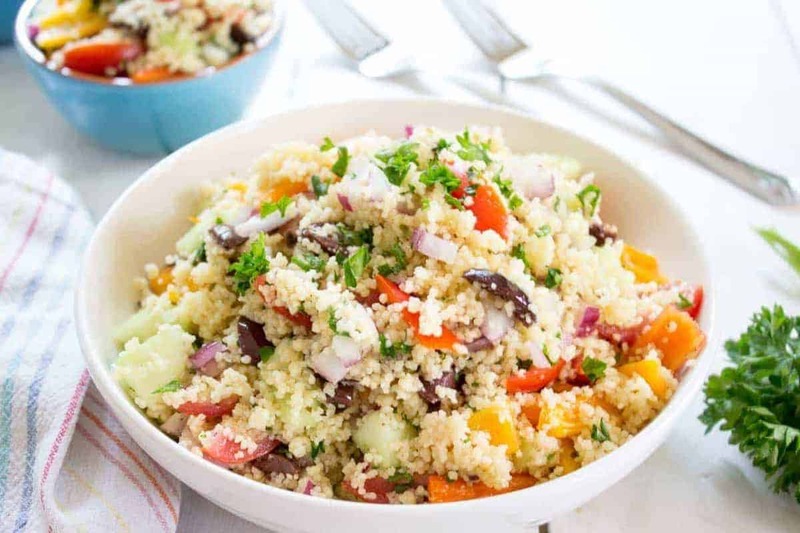 With the food processor you just put everything in and push pulse…. it’s that easy. I did the crust first. Placed the dry dough into a baking dish and then used the same bowl, leftover crumbs and all, for the cranberry filling. Easy prep….easy cleanup! In a food processor, put flour, sugar, butter and toasted almonds. Pulse until the mixture is crumbly and the butter is incorporated throughout. Pour mixture into a 9x13 baking dish. Flatten dough with hands. Meanwhile, in the same bowl, add sugar, eggs, milk, orange peel vanilla, and cranberries. Pulse into ingredients are mixed and cranberries are finely chopped. Love the addition of the toasted sliced almonds! These look divine! Thanks, Jillian! The almonds do add extra crunch and flavor! 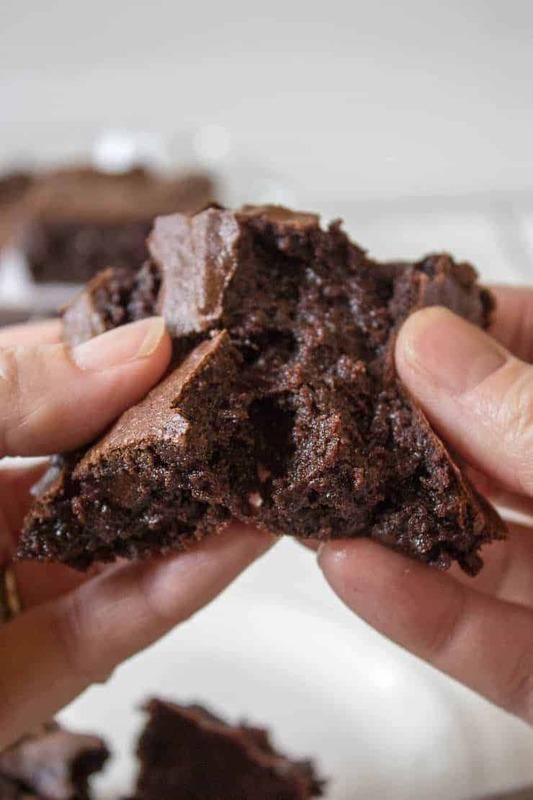 These look delicious – definitely want to give them a try!! 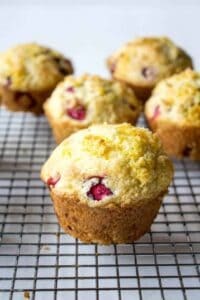 Love cranberries in baked goods! The tart pop is my favorite. they are look so tasty! simple recipe and not “too log list” of ingredients 🙂 love it. So sad that cranberries may ‘go out of season’ soon, but there will always be (I hope) the dried ones that I can get at Sprouts! I agree! At least there are dried ones to keep us going the rest of the year! I’ve still been buying the fresh cranberries too! These bars are just so pretty! So perfect for the holidays! The colors are perfect for the holidays. Yes, cranberries are totally still in season! We should use them as much as possible. 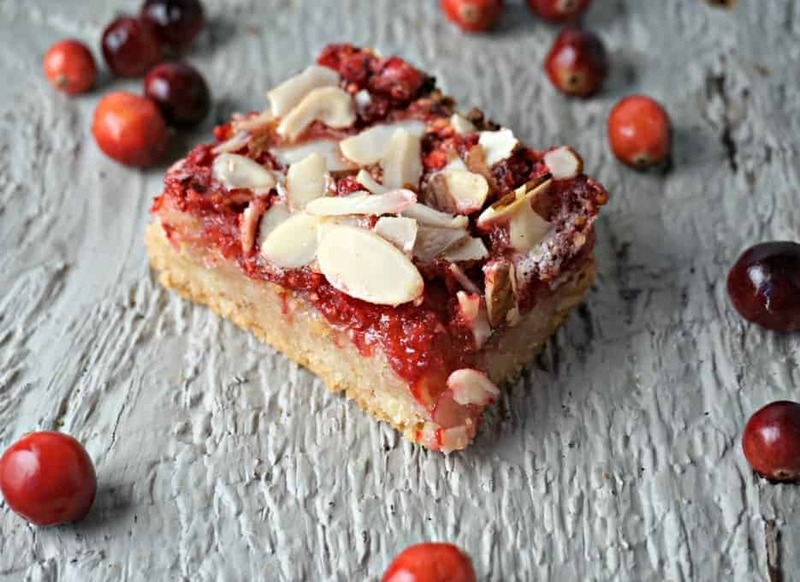 I am LOVING these cranberry bars, the shortbread crust, the almond topping. So perfect for the holidays! They aren’t only yummy, they are good for you too! Easy, pretty, and festive? Count me in! 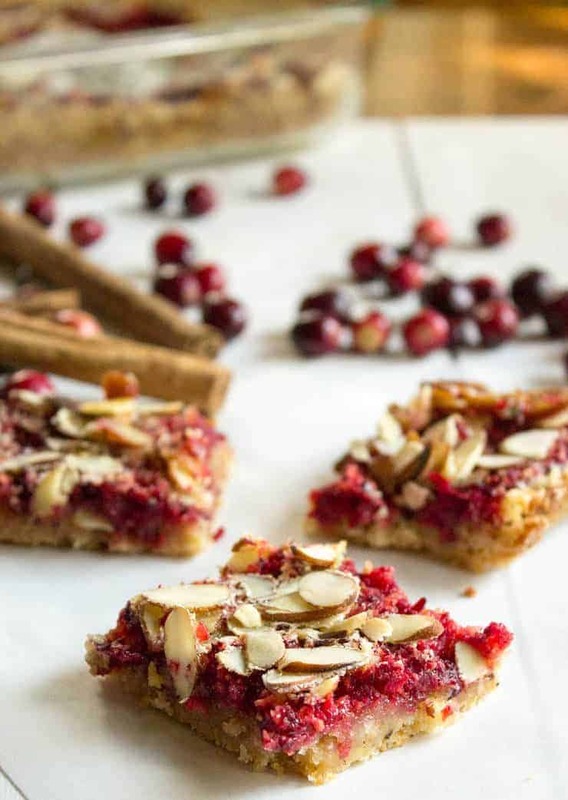 I love the color on these cranberry bars, Kathy! Cranberries have the most amazing color. 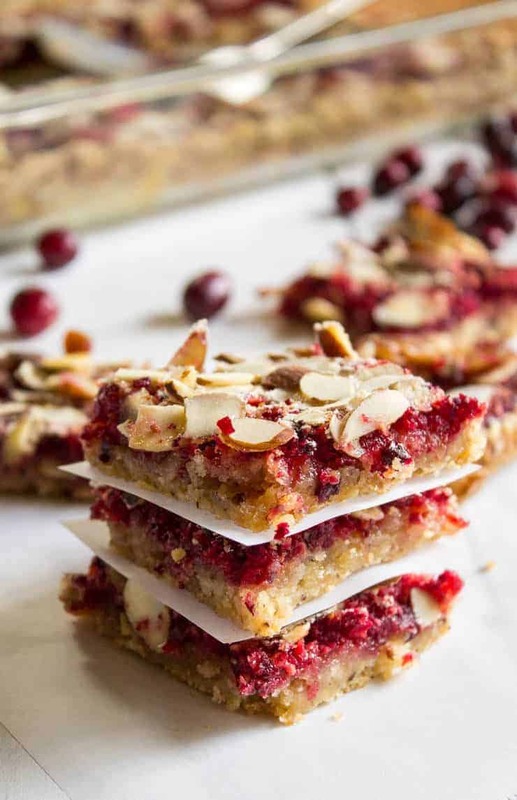 I wouldn’t mind eating the whole tray full of these cranberry nut bars! i love the shortbread crust!! yum! 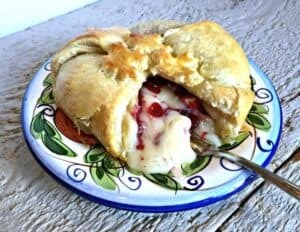 The crust is delicious and super easy to make! These bars looks like you put a lot of time and effort in them – love the bit about easy cleanup and prep. That’s always the biggest battle, who’s gonna clean the kitchen? And cranberries are so cheap right now. Love the silvered almonds on top for that pop! 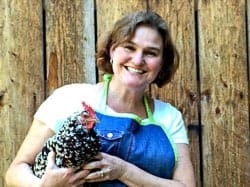 I am always stuck cleaning the kitchen! Gotta love easy prep and few dishes! Yes! 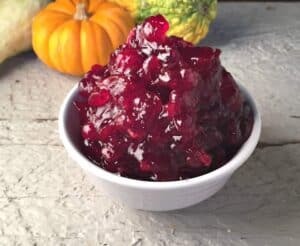 Cranberries store really well in the freezer so we could enjoy them year round! 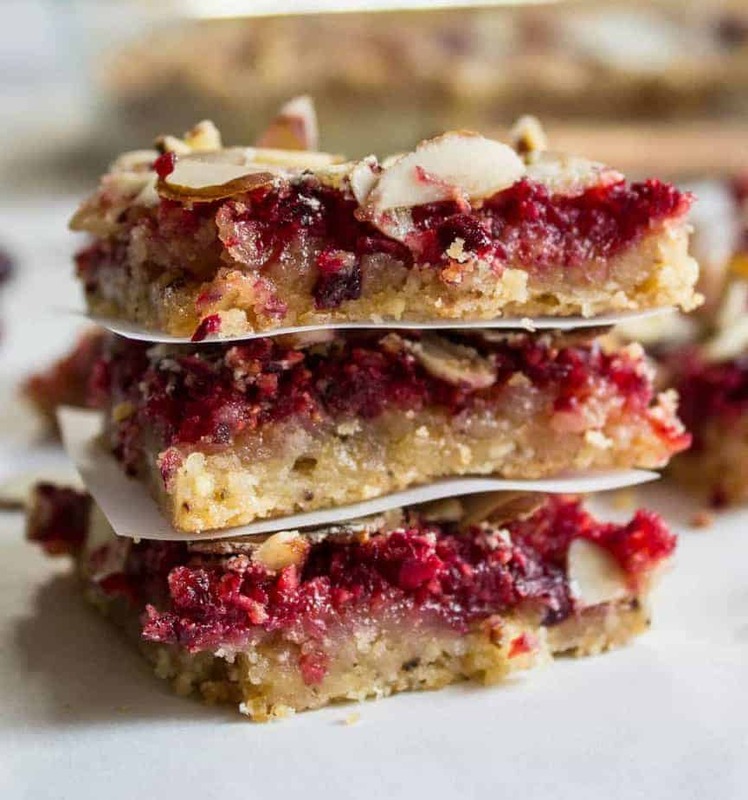 How gorgeous are these cranberry nut bars! Love that colour! 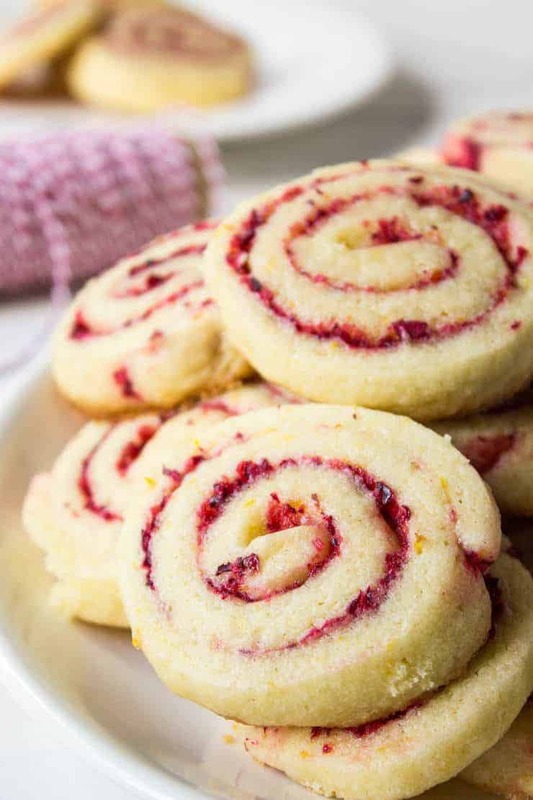 Perfect treat for the holidays! They are perfect for this time of year! Hi Kathy, I bet these are full of flavor, loving everything cranberry right now. One dish baking is good! These look terrific and so tasty! I really enjoy cranberries a lot. I know….cranberries are so good!